Well, you've built your website, now what? Having a website or a blog is vital to your online success. But equally important is getting exposure, building trust with your customers, clients or followers. In this video series, you will learn the number one marketing strategy I use to do that and how you can use it in your business too. But I don't just stop there. 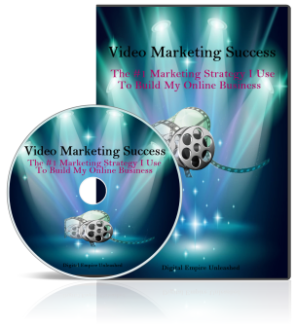 I've included an additional bonus... "The Video Marketing Success Action Guide". This bonus will allow you to delve into some actual hands on activities that will walk you through creating your first video, posting it on your blog and getting it ranked.